Being a freelancer is fun. You decide your working hours. You decide who you want to work for. And you decide how much should you be paid. Unlike a traditional workplace, you don't have to work when you're not in the mood, your ability to take breaks has no bound, and you never have to feel overpowered by a boss. The only thing you are expected to do is to meet the requirements of your clients and get paid in return. Sounds exciting, right? As they always say, "the grass on the other side is always greener until you step in." Likewise, the life of a freelancer is not always as easy as it seems. An individual working as a freelancer has a responsibility to get the work done on time, ensuring quality as well. Moreover, the self-employed worker is solely responsible for invoicing and billing clients on a regular basis, which brings me to the main topic of this post. Invoicing is a pain all freelancers have gone through. It can be a confusing as well as a difficult process. Until recently, invoicing was tackled with manual invoices prepared with the help of spreadsheets. These invoices were printed and sent to clients through the mail. However, that process is really irksome and exhausting, as it takes a just a little bit too much effort to bring in cash after slogging for weeks to get rewarded. Who wouldn't love the sight of money coming in sooner rather than wasting time preparing invoices and waiting for them to be paid? The trend of paper invoicing kept on going until online invoicing was invented. Technology saw the advent of online invoicing applications, much to the relief of hard working freelancers. Things were made much simpler with the new technique. How is online invoicing more beneficial than traditional paper billing? Standardizing Invoices– Invoicing applications usually come with a template customization feature. This lets an individual send different sets of layouts to its clients. Out of the many invoicing templates available, a freelancer could use a standardized, branded template for a particular client. This way, the client knows who it is from when an invoice comes in. What this does is that this nudges the client to pay instantly, or at least sooner than before. 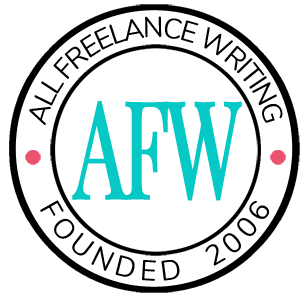 Communication Customizing– Freelancers usually serve multiple clients. Out of these multiple clients, they may have better relationships with some clients than with others. For these "top-priority" clients, a freelancer could give discounts or some sort of relaxed payment terms. This could be highlighted on the electronic invoice. Reminding them of this gesture through electronic invoices encourages the client to do a return favor to the freelancer by paying as quickly as possible, sometimes even before payment is due. Timely Payment Cycles/ Automatic Reminders -You always come across clients that find joy in not sending the payment in unless an invoice reminder is sent. Such clients could be well-tackled with invoicing applications that bill them on time and send automatic reminders if there is no response. You could always charge a late fee or interest charges if a payment is overdue. Penalizing the client in this case would completely be legit. After all, business is business. Just make those terms clear in your contract. You might have now guessed why online invoicing is a better deal. Yes, it saves time, cost, and most importantly eliminates all the hassles of creating and sending handmade invoices. It's all done in minutes. And the sooner you get an invoice to your clients, the sooner you can get paid for your hard work. Hitesh Bubbar is a Social Media Enthusiast who has been consulting and helping people excel in developing effective marketing strategies. He is an avid reader, writer, and presently working with Invoicera, an online invoicing software solution that simplifies your billing and invoicing needs. Read more posts from Hitesh Bubbar. There are two things I dislike about this post. First, to the matter it discusses, there are other ways to invoice that offer most of the same advantages and are completely free. For example, create a professional looking invoice with a spreadsheet, convert it into pdf (e.g. using PDFCreator, a free utility that works through Excel’s print command), then email the invoice to your client as an attachment. If you or your client are concerned about security, you can encrypt the file and call the client to give him/her the password. Second, it is only at the very end of the post, in the “About the Author” section that the reader finds out the poster has a personal stake in people using online invoicing. Had I seen that notice at the top, where it belongs, I’d have most likely skipped the post. Is that why it’s not there? Bio links always appear at the bottom of an article. And every guest poster has a personal stake in what they’re writing about. They submit guest posts precisely for those links to promote their sites, products, or services. Putting those links at the end of the article is pretty standard in guest posting. The fact that it’s a guest post is always clear at the top of an article so you always have the option to ignore those and read only content published by our regular contributors. I did go back and put the contributor’s name at the top of this one (I usually do, so my apologies for missing it). So it should be doubly clear now that it’s from a guest poster as opposed to a regular contributor. But company promotion will remain below all guest posts for the foreseeable future. Secondly, the post itself is not about pushing their particular solution. It’s about online invoicing in general and mentions applications (again in general) as a good option. That would include both invoicing software and online services (like Paypal’s invoicing function). Emailed invoices also share some of the same benefits. If the article were solely about promoting that one piece of software (which it isn’t — it’s not even mentioned in the article nonetheless pushing anyone toward it), it would have violated our guidelines and it would not have been published here. Had there been any direct sponsorship of the content, that would have been disclosed up front. But we do not publish sponsored content here. While the guest poster represents a certain company, it doesn’t make the post untrue. Also, there are other ways to do online invoicing without having to pay much, or anything at all; which means not having to go through spreadsheets and PDF converters and whatnot if one doesn’t want to. Good article. I’m glad for the explanation. I’ve only recently begun to use online invoicing. It’s made things simpler for me, for sure. My old system (I’m still using it, too — can’t quite let go yet!) is a paper-in-file-folder system. I print them out and file them. However, if I don’t remind myself to check up on them, it’s easy to miss them. The beauty of online invoicing is I can set up reminders easier. Personally I do all of my invoicing through Paypal. I’ve only sent maybe 3 clients invoices via emailed documents (at their request). Now I don’t even offer that as an option, because I like letting Paypal track everything for me. Besides, they can still pay via check after getting that invoice in their email box. So far no complaints, and it’s made my life easier. Hubby used to use Quicken for invoicing, but I think he’s now going entirely through Paypal as well. Quick, easy, and the ability to send reminders with one or two clicks helps a lot with the occasional straggler. I do all my invoicing through Xero. We got really lucky; we signed up to it while it was still really new and get charged a special ‘early adopters’ rate in perpetuity, which is a fraction of what people pay now. I suspect it’s kind of expensive, but oh boy, is it ever wonderful. You can send invoices, track all your earnings, work out your taxes, do all your expense claims, link it to your bank accounts (including PayPal) and reconcile payments with just a couple of clicks, send account statements, and give your accountant their own access to it so they can do their accountanty thing right there. It’s also great to be able to see what’s owing, and who owes it, and how overdue it is. It’s perfect for someone like me who just would not keep on top of that stuff any other way.